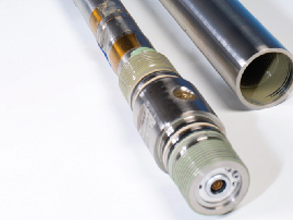 Nan Gall Energy Systems is a specialist design and manufacturing company producing leading edge "downhole" and "surface" data acquisition equipment for the oil and gas industry. At Nan Gall, our devices are designed by experts who truly understand the rigours of each operation. Nan Gall Energy Systems are fully-equipped for on site calibration. The calibration equipment includes automated dead weight testers (DWT) for high accuracy calibrations. We provide a comprehensive functional and diagnostic check of your product. Nan Gall Energy Systems maintains a pool of equipment which it offers to customers on a rental basis. Nobody specialises in our tools like we do and we want your operations to run smoothly and safely. At Nan Gall we never forget how much faith customers put in our products – and our support. Using our Intelligent Trigger Device as the primary firing head, this perforating job was successfully completed utilizing a maximum surface pressure of 1600 psi.